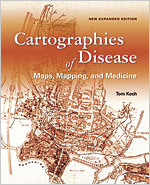 Cartographies of Disease: Maps, Mapping, and Medicine, new expanded edition, is a comprehensive survey of mapping technology and its relationship to the battle against disease. With minor updates to the original text and two new chapters, the book advances the argument that maps are not merely representations of spatial realities but are a way of thinking about the relationships between viral and bacterial communities, human hosts, and the environments in which diseases flourish. Cartographies of Disease traces the history of medical mapping from its growth in the nineteenth century, during a period of trade and immigration, to its renaissance in the 1990s, when a new era of globalization transpired. 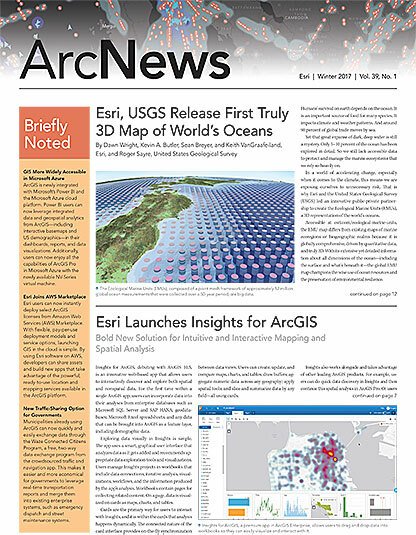 It pulls from historic maps, including the plague maps of the 1600s and John Snow’s famous cholera maps of London from the mid-nineteenth century, while addressing current issues concerning the ability of GIS to track diseases worldwide. The new Chapter 13 attempts to understand how the hundreds of maps of Ebola revealed not simply disease incidence but also the way in which the epidemic itself was perceived. Chapter 14 continues that discussion by looking at the spatiality of the disease and the means by which different cartographic approaches may affect how infectious outbreaks like Ebola can be confronted and contained. January 2017, 528 pp. E-book ISBN: 9781589484764 and paperback ISBN: 9781589484672.